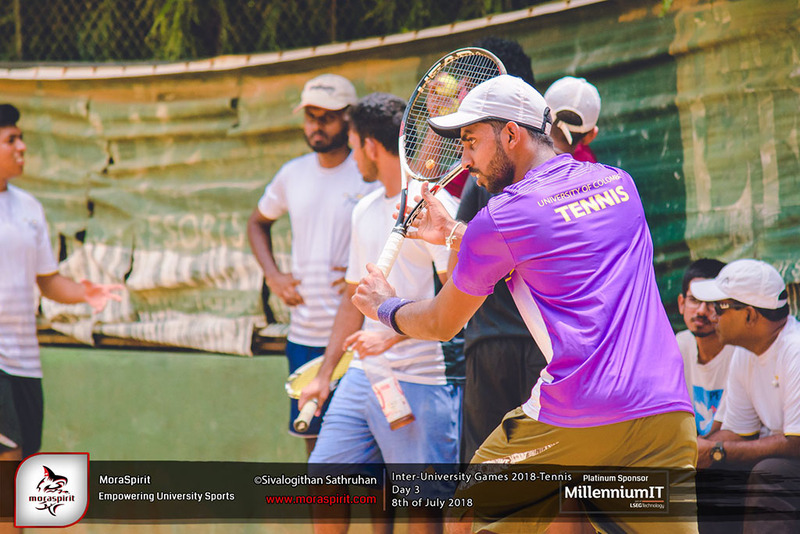 Inter University tennis tournament 2018 was held on the 6th, 7th and 8th of July at Gymkhana tennis court. 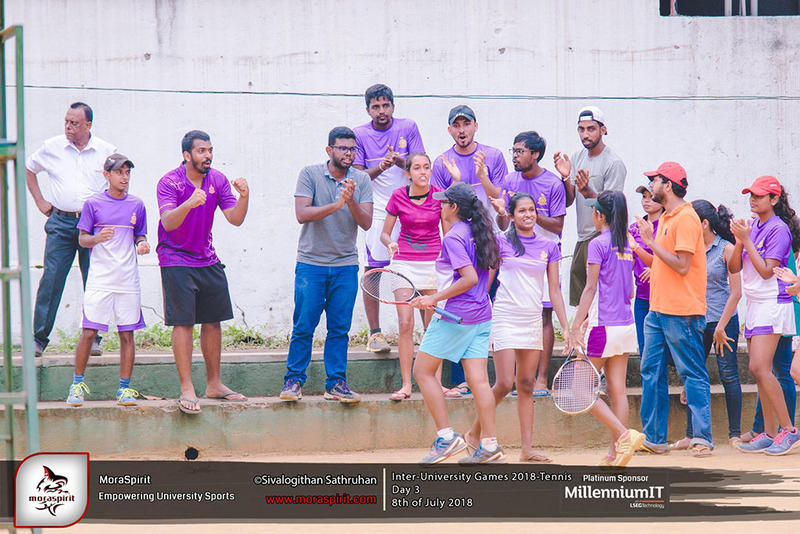 The tournament was especially a record breaker for both men’s and women’s teams of University of Colombo as they managed to win the victorious Triple Championship for the 5th consecutive time proving their dominance, yet another year. The road to the championship of the men’s category was a clear cut route as they aced through to the finals without losing a single match against any of the opponent teams where they faced University of Sabaragamuwa, University of Peradeniya and University of Kelaniya in the preliminary rounds while University of Jayawardhanapura in the semi-finals winning by 3-0 in every round. 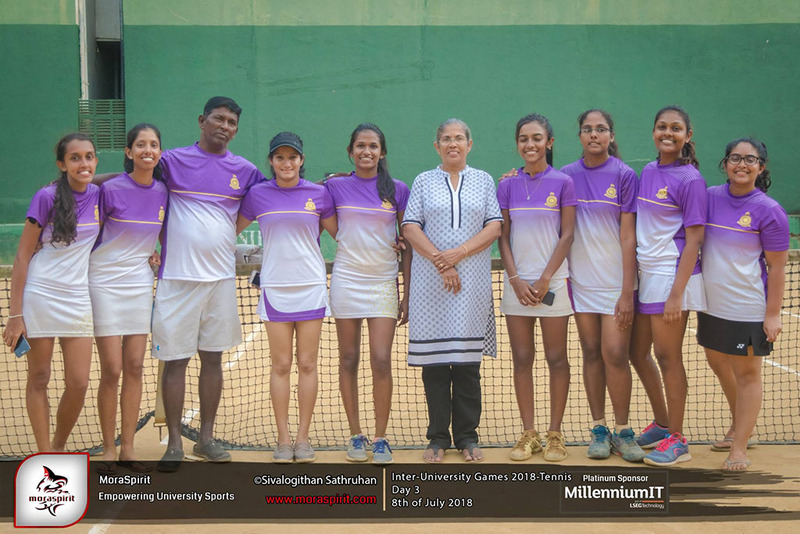 The final round was between University of Colombo and University of Moratuwa which was anticipated to be a close tie even though Colombo managed to emerge the championship irrespective of the tight competition by winning straight singles. The women’s event was rather a thrilling experience as there were quite a few teams with equal talents. 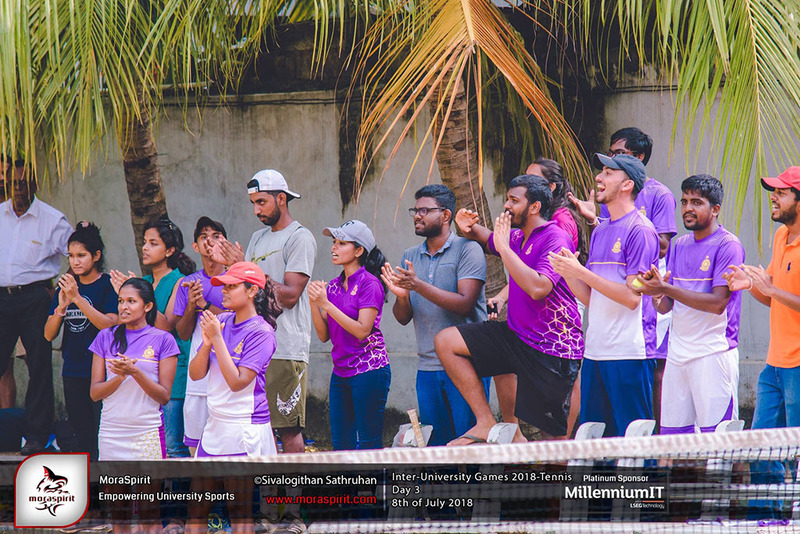 However, the Colombo team managed to qualify to the finals after winning against University of Moratuwa (3-1), University of Peradeniya (3-0) and University of Sabaragamuwa (3-0) in the group stage and winning over University of Kelaniya (3-1) in semi-finals. The final round was between Colombo and Jayawardhanapura in which both the teams made an admirable attempt at securing the title. After hours of effort made in the finals, the Colombo women’s team managed to bring back the title home. Securing the Overall Championship for 5 long years would not have been possible without the guidance of their beloved coach Mr. Silvester Francis and the assistance of Ms. Srimalka Gunasekara.